Ask Congress for Healthier School Meals on April 21! "On April 21, please join us for School Lunch Lobbyist Call-In Day and ask your Member of Congress to support H.R. 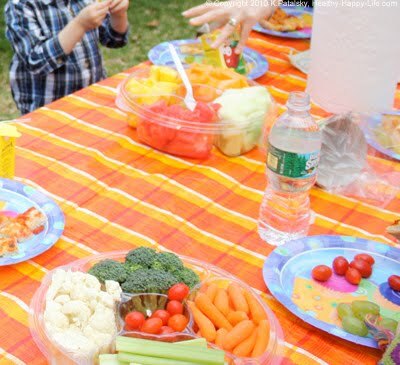 4870, the Healthy School Meals Act of 2010, which makes it easier for schools to offer healthful plant-based options and gives them an incentive to do so. Anyone can be a citizen lobbyist!" I'm a big fan of PCRM, Physician's Committee for Responsible Medicine. They work passionately to promote a plant-based diet for our kids and for adults. If you haven't perused the PCRM website, I suggest you do. 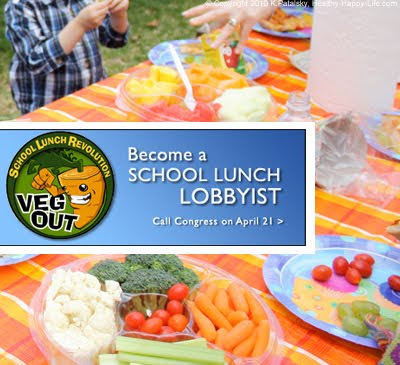 Participate in PCRM's School Lunch Lobbyist Day! Questions about School Lunch Lobbyist Day? Contact Ruby Lathon, Ph.D., PCRM's nutrition policy manager, at rlathon@pcrm.org. *thanks to my new friend Laura over at vegansaurus.com for this event tip!